September WE on reservation only. 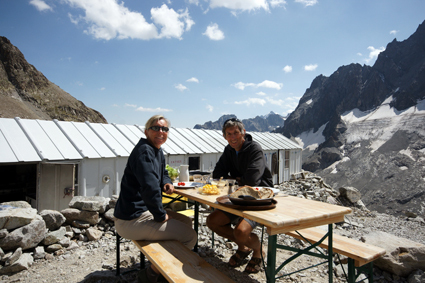 See guarding periods on the mountain's hut Website. From 17/09 to 15/06, daily. 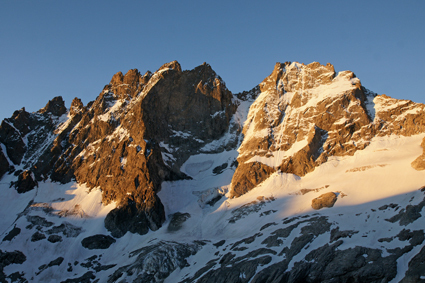 From 17 September to 15 June the winter refuge is open and not guarded. 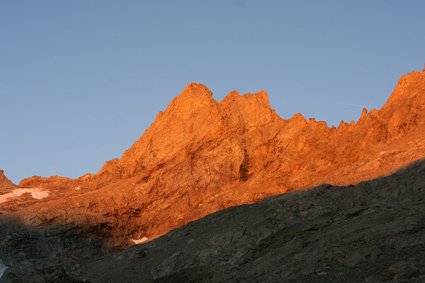 The start for the refuge is located in Arsine, 5 km far from La Grave and 2 Km from Villar d'Arene the ascent route is 4:30 from the foot to the Pied du Col hamlet in Arsine and has 1150m difference in height.